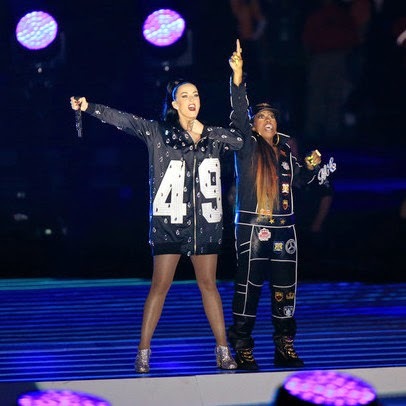 Katy Perry has highest rated halftime show ever, Beyoncé ranks last & Missy storms iTunes! A record breaking 118.5 million people watched Katy Perry's Super Bowl Halftime performance last night. This meant ratings were up 3 million from when Bruno Mars performed at last year's Halftime show (115.3 million). Katy's performance also becomes the most watched Halftime show ever! 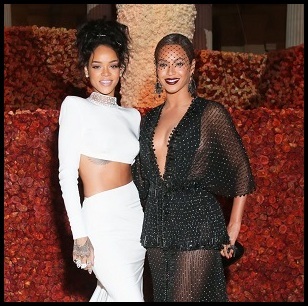 I know Beyoncé fans must be seething at this news. Statistics show that each year since The Black Eyed Peas tragic performance in 2011, the ratings increased except for when Beyoncé performed. If it's any consolation to them, ratings does not equal greatness. Katy's lack of prowess as a performer was cleverly disguised by the visual spectacle, engaging production and colorful props. At the end of the day, it was Missy that received the most praise for her impressive showing. And charts don't lie. As of writing, Missy has three songs in the top 10 of iTunes (U.S.) 2002’s ‘Work It’ sits at #4, 2001’s ‘Get Ur Freak On’ sits at #5 and 2005's ‘Lose Control’ is perched at #7. Do you see any of Katy's songs in the top 20? Absolutely not.